I always wanted to visit the Himalayas in Pakistan. The mountains are legendary: Gasherbrum I,Gasherbrum II, Nanga Parbat, Broad Peak and, of course, K2. The view from the confluence of three glaciers at Concordia is live postcard few get to see in person. In the summer of 2006, along with a team managed by Field Touring Alpine (FTA), I attempted Broad Peak (26,401') and planned to make a good effort on K2 (28,250'). I reached 21,000' on Broad or Camp 2 before abandoning the climb due to weakness that resulted from a severe bug I contracted on the trek in. The Karakorum ranges was magnificent and I was very lucky to have unbelievable weather for the month I spent there. I sent frequent dispatches using a system that includes a digital camera, PDA and sat phone. 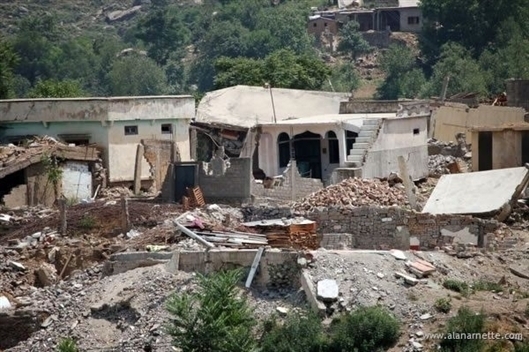 You raised $300 with the T-Shirt sales for Pakistaini earthquake survivors - Thank you! Our focus in Pakistan has now shifted to assist in the development of much needed infrastructures such as schools and hospitals. We are working closely with local organizations that include the Alpine Club of Pakistan to maximize our impact. Tragedy on K2 as 4 Russian climbers were killed in an avalanche near the summit. Banjo, who climbed with WIlco, Ger and others on our team, escaped along with Jacek and 3 Russian climbers according to his site. My sincere condolences go out to the Russian's family and friends. I can confirm that all our 29 team members are back home except for Mick who should be in transit today. What a trip and I left before it was half over! I said several times to my teammates that I considered the expedition a success just by getting us all to Islamabad. But my real measure was a safe return for each person back to their families. I am thankful that both goals were accomplished. I am also appreciate of your generosity in raising money for the earthquake survivors. I will announce the final number and the agency to receive it on a video I will post next week. I just recieved a nice email from Di telling me about her, Ian's and Wilco's rescue of the Spainish climber from a crevasse below C1 on Broad. She was kind enough to give me permission to post it here. Well done ! Enjoy!